The US may no longer be in control of the global economy, warned former Treasury Secretary Lawrence Summers, urging Washington to regain dominance by honoring commitments and stopping its own hypocrisy. China’s establishment of the Asian Infrastructure Investment Bank (AIIB), and Washington’s failure to stop its traditional allies from joining, was a development without precedent since the 1944 Bretton Woods conference established the current international financial order, Summers wrote in an op-ed published by the Financial Times and Washington Post, among others. “This past month may be remembered as the moment the United States lost its role as the underwriter of the global economic system,” he wrote. Summers explained that a combination of internal politics, hypocrisy in applying rules, and disregard for the middle class in global policies combined to isolate the US and open the way for alternate financial architecture such as the AIIB to arise. It was Washington that proposed governance reforms for the International Monetary Fund (IMF) in 2009, Summers noted, only to see them stall in Congress due to “resistance from the right.” However, he also blamed “pressures from the left” for restricting infrastructure investments through the existing financial institutions, at the time when most developing countries need them the most. “With US commitments unhonored [sic] and US-backed policies blocking the kinds of finance other countries want to provide or receive through the existing institutions,” the way was clear for the AIIB, Summers wrote. “As long as one of our major parties is opposed to essentially all trade agreements, and the other is resistant to funding international organizations, the US will not be in a position to shape the global economic system,” he wrote. Just as importantly, the “legitimacy of US leadership depends on our resisting the temptation to abuse it,” Summers argued, pointing out that allies and partners found it aggravating when US lawmakers insisted that international laws and treaties did not apply to American companies or government. Summers also advocated policymakers not to neglect the middle class, warning that the present global politics do just that, catering primarily to the rich elites and to some extent to the poor. Lastly, he cautioned against imposing austerity, arguing that “we may be headed into a world where capital is abundant and deflationary pressures are substantial,” so the emphasis ought to be on promoting investments. 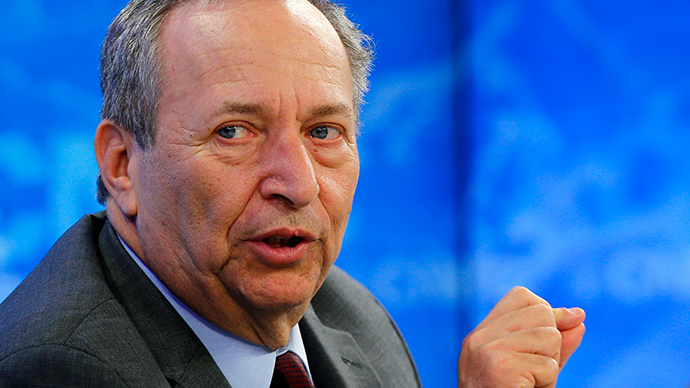 Formerly the Chief Economist at the World Bank (1991-1993), Summers served as Treasury Secretary under Bill Clinton (1993-2001), President of Harvard University (2001-2006) and director of the National Economic Council under Barack Obama (2009-2010).